Remember it’s a Key QUESTION. If the Examiner asks you what it is, don’t write “Dementia”. “Dementia” isn’t a question. 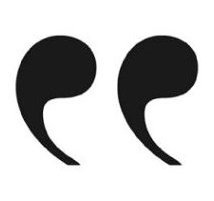 Questions have question marks at the end and start with a word like “how”. Dementia is an illness that affects 850,000 people in the UK. It is set to rise to 1 million people by 2025. 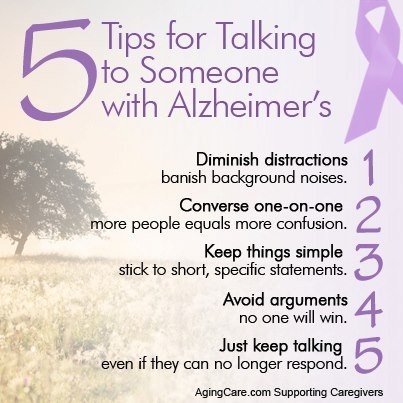 The most common cause of dementia is Alzheimer’s. It tends to affect the elderly but there are 40,000 people under 65 in the UK with dementia. There is no cure for dementia but it is estimated that if we could delay the onset of dementia by five years, we would halve the number of deaths from dementia. Most research is into diagnosing dementia early, slowing down the onset of the disease and reducing the stress and unhappiness of sufferers. Dementia often creeps up on people because they expect to have memory problems as they get older so they don’t notice the symptoms until the disease is quite far advanced. Prof. Bruno at Liverpool Hope University has developed a test to diagnose dementia before the effects start to show themselves. His patients do a word recall test from a list of 15 words. Normal memory should recall many of the first 4 words from the list but some patients recalled words from the middle of the list instead. These patients turned out to be much more likely to develop dementia. Bruno makes a distinction between “healthy” memory loss from old age and “pathological” memory loss that his test seems to detect. Prof. Bruno hopes tests like this will help pick up a warning sign of dementia before sufferers realise there is anything wrong with their memories. Describing Prof. Bruno’s test would be good if you can go on to explain the memory psychology behind it. This therapy for dementia stimulates the mind. It involves patients getting together in groups to discuss, play games and solve puzzles. Often the activities are linked to memories, like looking at old photographs, listening to old songs or using old skills (such as skittles). Cognitive Stimulation works best for patients in the mild to moderate stages of dementia. It can slow down the progress of the disease as well as reduce stress and loneliness. Variations of Cognitive Stimulation involve using music or introducing patients to pets. A charming version of this is in Seattle where the 400 residents of Providence Mount St Vincent Residential Home ("The Mount") meet up with 150 kindergarten children 5 days a week. Staff report that the residents become lucid when they play with the children and join in their games and storytelling. They refer to this as “moments of grace”. Hogewey is a care home in the Netherlands for elderly with extreme dementia. Most are over the age of 80. Hogewey is unusual because the patients live nearly normal lives there. There are no locked doors and residents (they are never called ‘patients’) are free to wander about: join clubs, go for beauty treatment, perform music, play bingo, take walks. Different parts of the village look like different types of homes – upper class with lace and chandeliers, cultural with books and art, urban with pop radio and cafes. All the waiters and shopkeepers are actually nurses and orderlies. Hogewey is a type of Validation Therapy. Rather than continually being told they are wrong and deluded about things, the residents are allowed to live out their imagined life. This reduces stress and keeps the residents active, so that they need less medication and are more fit than most dementia sufferers. Any question on your Key Question will be assessing you on AO2 (Application of Concepts and Ideas) so as well as telling the Examiner about dementia and how it can be helped, you need to explain the psychology behind these ideas. 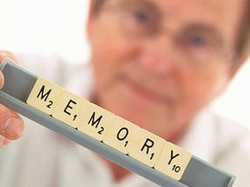 Dementia involves loss of memory but sufferers don’t lose all their memories. They often lose memories of events from in their past. Tulving’s ideas about episodic LTM apply to this. More recent episodic memories are lost first, but sufferers often keep memories from their youth or childhood right to the end. Semantic memory seems to be lost separately, because sufferers may recognise a friend but forget their name. Schmolck et al’s study into semantic LTM applies to this, because they found semantic LTM is stored in a different part of the brain. The idea of schemas from Reconstructive Memory explains why dementia may be lifted when patients hear old songs, play childhood games or visit familiar-looking places. Procedural memory is also affected separately. It may explain the confusion sufferers experience because they are suddenly unable to do tasks they have taken for granted, like read, tell the time or use a phone. Displacement theory applies Prof. Bruno’s test. The primacy effect means the early items in a list are well-rehearsed and go into LTM, making them easy to recall. Middle items are displaced because there is no time to rehearse them. This happens because, according to the Multi Store Model, STM has a maximum capacity of 9 items. If a person doesn’t experience displacement, it means that they weren’t rehearsing the primacy items. This suggests a problem with LTM which Prof. Bruno calls “pathological”. Cognitive Stimulation often starts by focussing on early memories from childhood and young adulthood. Most dementia sufferers will be able to access these episodic memories. Because it fades slower, semantic memory can help link episodic memories together, enabling sufferers to retrieve more and more details from LTM. Activities also rehearse procedural memories that are fading. The idea of Reconstructive Memory can be applied to this therapy. If memories are reconstructed using schemas, anything that reinstates schemas will help with memory. A lot of elderly people find themselves cut off from familiar things. The kindergarten at The Mount may remind sufferers of when they had children or when they were children themselves, activating schemas. Reconstructive Memory can be applied to the dementia village at Hogewey. Each of the different parts of the village (cultural, urban, etc) corresponds to a different set of schemas. Someone who grew up in a wealthy home will have schemas corresponding to the high class part of Hogewey and find it easier to remember things like episodes and procedures. This makes it possible for them to be active and fit. This is in contrast to normal hospitals which are strange places for most patients, who take to their beds and decline. Tulving’s ideas of episodic and semantic LTM also apply to Hogewey. Because recent episodic memory is lost, sufferers often “live in the past” and find their present situation distressing. Staff do not contradict the residents but “go with” their beliefs and behaviour instead. Validation Therapy like this is controversial. Some critics say that psychologists have an ethical duty not to deceive people. Hogewey is a giant deception designed to put dementia sufferers at ease. Dementia is a disease affecting 850,000 people in the UK. 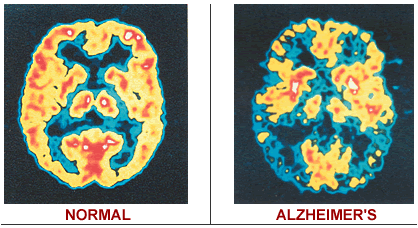 The most common type is Alzheimer’s. It causes loss of memory, confusion and depression. There is no cure. Despite this, sufferers can be helped if they are diagnosed early. Prof. Bruno has a test that picks up the warning signs of dementia. Patients to a word recall test of 15 words. If they don’t recall the “primacy” words from the start of the list, this often predicts they will get dementia in the next few years. 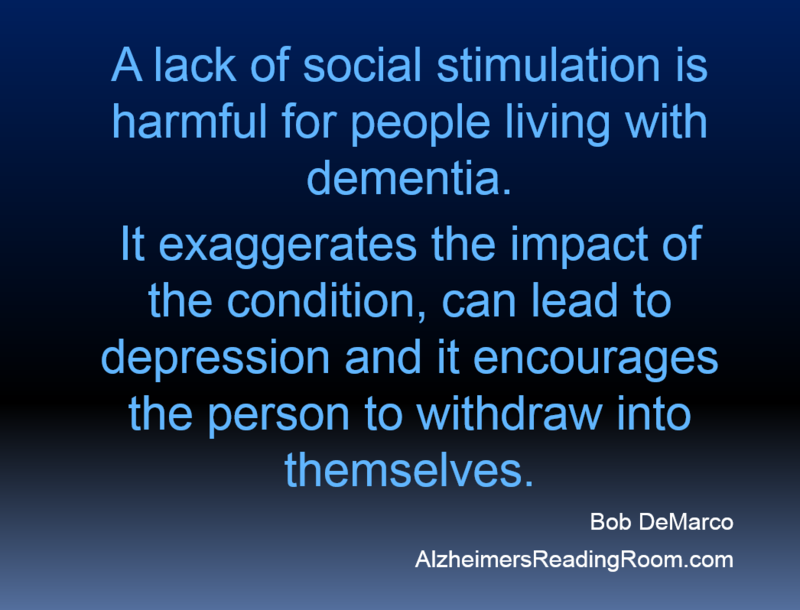 Cognitive Stimulation can help dementia sufferers. This involves discussions and activities like singing and games. One treatment from America involves bringing a kindergarten into a residential home so that the sufferers can play with the children. Validation Therapy is another approach. Hogewey is a “dementia village” where the residents can “live in the past” without being contradicted or confused. Different parts of the village resemble different lifestyles the residents had when they were younger. The residents are healthier and more mentally alert than normal sufferers. Tulving’s Episodic LTM can be applied to dementia. Dementia sufferers tend to lose recent episodic memory then the disease “works backwards” until they only remember episodes from youth. You may distress sufferers if you draw attention to what they have forgotten. Displacement Theory can be applied to Prof. Bruno’s test. In healthy memories the primacy words should be recalled best. In “pathological” memories, these words are not rehearsed into LTM. This helps diagnose dementia before other symptoms show. Semantic memory can be applied to Cognitive Stimulation. The kindergarten seems to work because the sufferers have memories of when their own children are young. This gives them “moments of grace” when they remember things. Reconstructive Memory can be applied to Hogewey because different parts of the village link to different schemas. The residents can be active and calm if they are surrounded by a familiar schema from their youth. Cognitive Psychology cannot cure dementia but it can reduce the severity of the symptoms by diagnosing it early and slowing the disease down. There is an ethical debate about whether sufferers should be helped to cope with the world as-it-is or encouraged to live in the past. The evidence suggests villages like Hogewey help sufferers live longer, healthier lives even if they are deceived. Notice that for a 8-mark answer you don’t have to include everything about dementia. I haven’t mentioned the other symptoms or the precise details of Bruno’s test. I haven’t described examples from Hogewey or the name of the residential home with a kindergarten. I haven’t described any studies. But I have tried to make the two halves – Summary and Application – evenly balanced.